We are closing in on three years of living in Southern California and I can tell you with so much confidence that the novelty hasn’t worn off, I don’t take a single day here for granted and I feel like I am exactly where I was always destined to be. This place is truly magical. 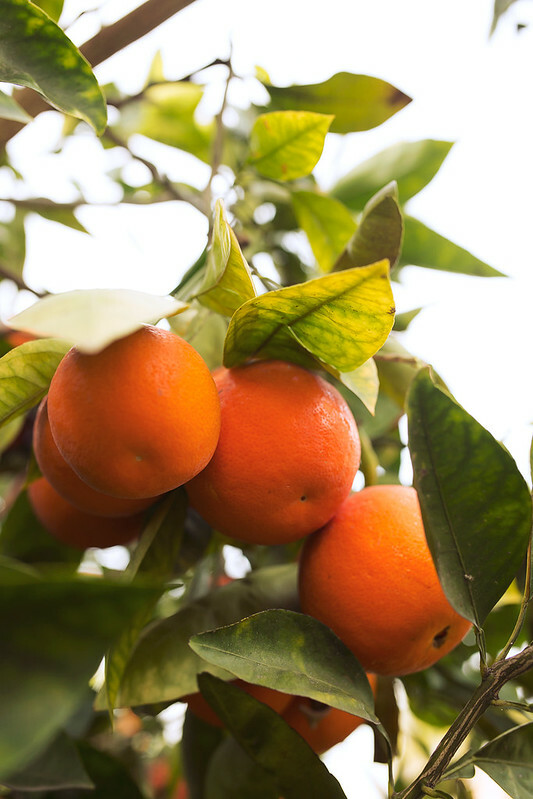 While hailing from Buffalo, I had a little bit of snow-day envy as the blizzard made it’s way across the east coast this weekend, walking outside in a t-shirt to your very own orange tree – that is certainly not lost on me. Not one bit. 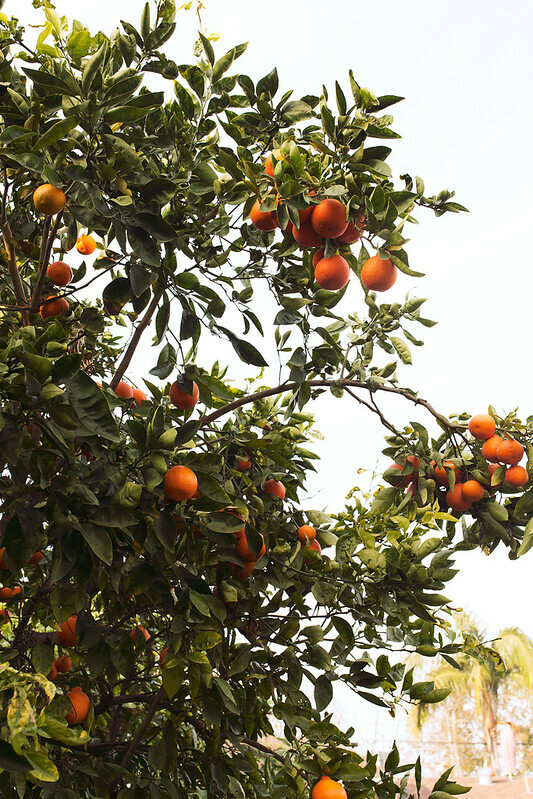 We got so very lucky that the house we ended up in, here in Long Beach, has a beautiful yard, complete with an abundant orange tree, grape vines, the biggest fig tree you ever did see, an avocado tree and so many other amazing fruit trees. I have been learning to get creative with everything we have been so graciously gifted from this land, but despite the constant creations I still have so many oranges that need to get eaten. So, this marmalade was created and even more excitingly this week I purchased a canning kit, to *finally* learn to preserve. 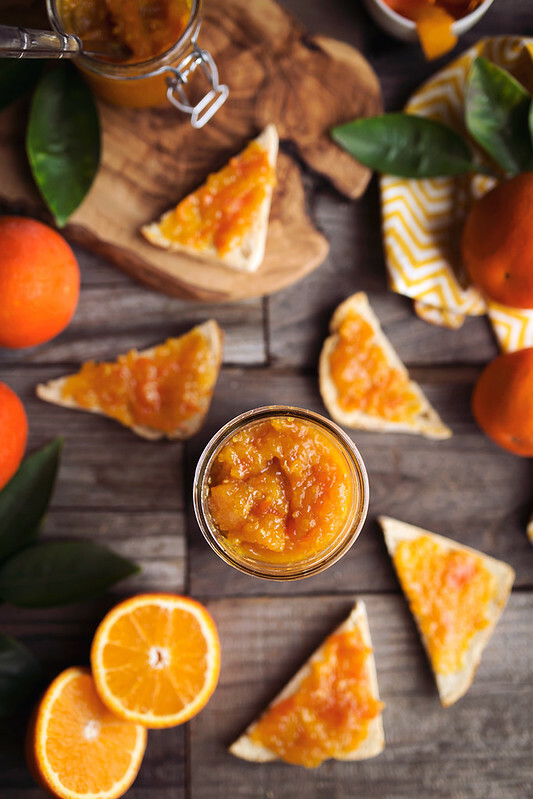 It gets here in just a few days and I plan to make lots more of this marmalade to enjoy throughout the year. 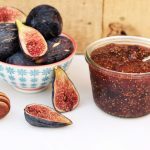 In the fall I certainly plan to preserve my Fig Honey Jam and some grape jam, too. I guess because we got a lot more rain this past year than years previous, this winter both our avocado and orange tree are the best they have been yet, since we’ve moved out here. So much fruit. More than we can eat ourselves. Suffice to say, we’ve been having fresh squeezed juice and lots of guacamole, these past few weeks. Neighbors come by and pick from both the trees, I invite strangers walking by to help themselves and I gift them to as many people as I can. Even with all of this sharing there is still so much. Then, I remembered the other day that a good homemade orange marmalade is one of my most favorite things. Why I hadn’t thought of this sooner, I don’t know. 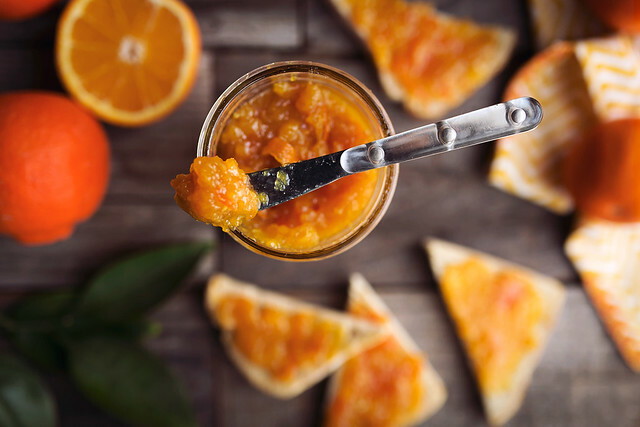 We’ve been enjoying this beautiful bright marmalade slathered on toasted gluten-free sourdough bread from Bread SRSLY with a little grass-fed butter swept across first. It’s also amazing with a cheese board, I personally find it’s especially tasty layered on a rice cracker with a little goat cheese smear, down first. YUM. 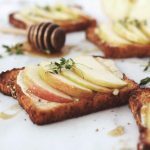 Great on scones or muffins, perfect stirred into your tea or a clever cocktail, pile it atop your yogurt or ice cream, swirl it into your oatmeal or chia pudding or dizzle it over a homemade bundt cake. You could also add it to marinades or salad dressings. I plan to do some baking with it, working in to some delicious treats. 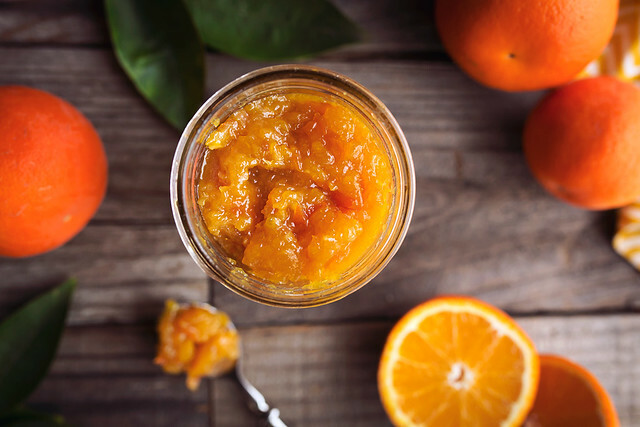 Oh and probably my most favorite suggestion for how to enjoy this orange marmalade: take a piece of the darkest chocolate you can get your hands on, I’m talking 85-90% dark, dip it into the marmalade and enjoy! Be careful though, it’s wildly addicting. I warned you. What’s most surprising about this recipe is how simple it is. Two ingredients. That’s it. You’ve got a little time for peeling and zesting, a little time for standing around stirring, but the end product is well worth it and this is perfect for gifting. I cannot wait to share this beautiful, bright and tasty abundance with the people I love. Wash the oranges very thoroughly. Start by taking a sharp vegetable peeler and remove the zest from 4 or 5 of the oranges, you shouldn’t need it from all of them. Try to keep the zest pieces as long as possible. You are looking for just the bright colored zest, little to none of the white pith, the more pith in the marmalade, the more bitter it will be. If your peeler does leave some of the pith on the zest strips, place the strips down on a cutting board, pith side up and use a sharp knife to scrape away the pith. I got lucky and my peeler did an incredible job, no pith. Using a sharp knife, cut 3/4 cup of the strips of zest into 2-inch long pieces, about 1/8 – inch wide, or so. Anything beyond that 3/4 cup can be discarded or saved for another use. Using your hands, continue to peel all of the oranges, removing as much of the white pith as possible. I actually peeled my oranges using a very sharp knife. Cut the oranges in half and discard any seeds. Place the orange halves into your food processor with the metal blade or into a high speed blender. Process until it is smooth. You should have about 4-5 cups of super duper pulpy orange juice. Place a small plate into the freezer. Pour the orange pulp into a medium-sized saucepan, add the zest strips and the honey. Over high heat, bring to a boil, stirring constantly. Boil, stirring occasionally, until the mixture thickens, about 40 minutes to 1 hour. If you have a candy thermometer, you can check the temperature. Usually, a temperature of around 220ºF will mean that the marmalade is set. 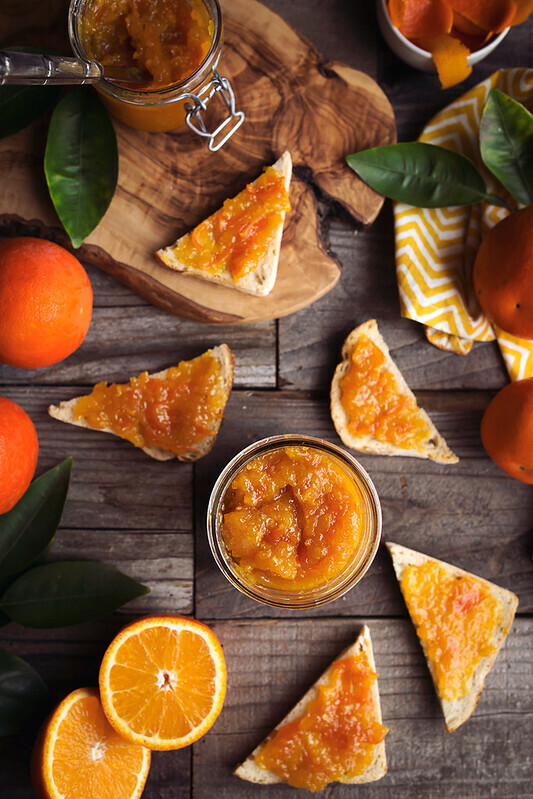 To test the readiness and thickness of the marmalade, place a teaspoon of the mixture onto the chilled plate from the freezer and allowing it to sit for 30 seconds. Tilt the plate. The mixture should be a soft gel that moves slightly. If mixture is thin and runs easily, it is not ready. You can also take 1 tsp. of the marmalade placed on a plate and set the plate into the refrigerator, it is ready if it jells within 3 minutes. If the marmalade does not jell within that time, continue to boil until it does. Remove from the heat when it’s ready. Now you can simply add to any tightly sealing glass jars, let it cool, close tightly and store in the refrigerator for up to one month. 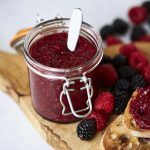 Or, using sterilized jars, lids and rings, you can use traditional canning methods to preserve (some great info on canning jams and marmalades can be found here). If the jars are properly sealed and stored in a cool dark place, the marmalade should be good for up to 1 year. The amount of honey used depends on the bitterness of the fruit and your desired sweetness. I suggest starting with a cup and then adding more as it cooks down, if necessary. I used raw honey, but any honey will do. 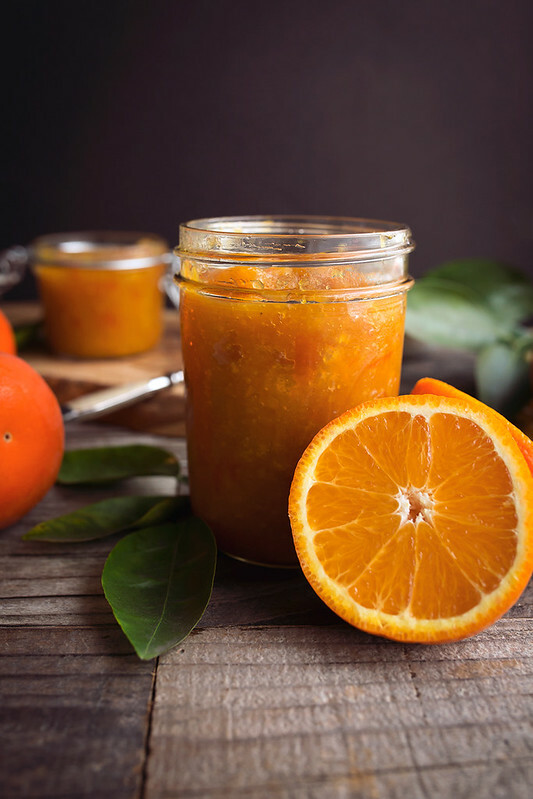 If your fruit is non-organic or has been sprayed, I highly recommend leaving the zest out and just continue to follow the rest of the recipe, going instead for more of an Orange Jam situation. 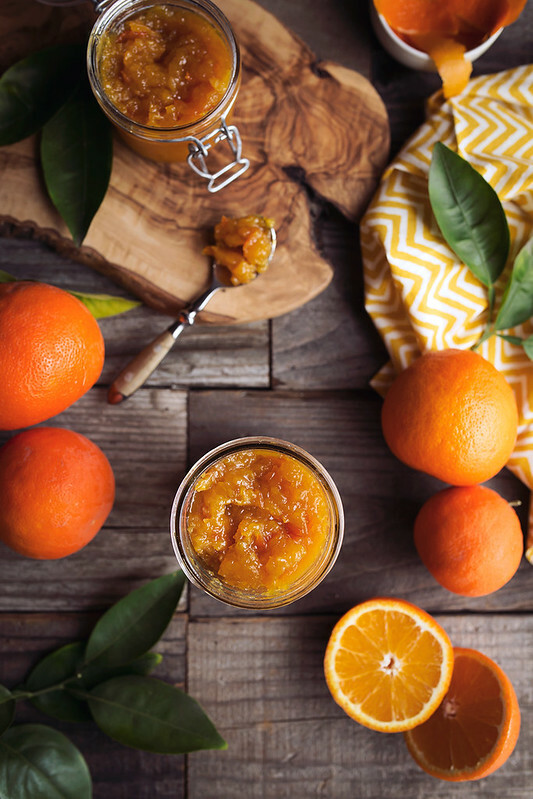 Get creative with your marmalade, add Meyer lemons or grapefruit, try making your marmalade with blood oranges, change the flavor profile a bit and add fresh vanilla bean, fresh herbs like thyme, bay leaves or tarragon, ginger, cranberries, etc. 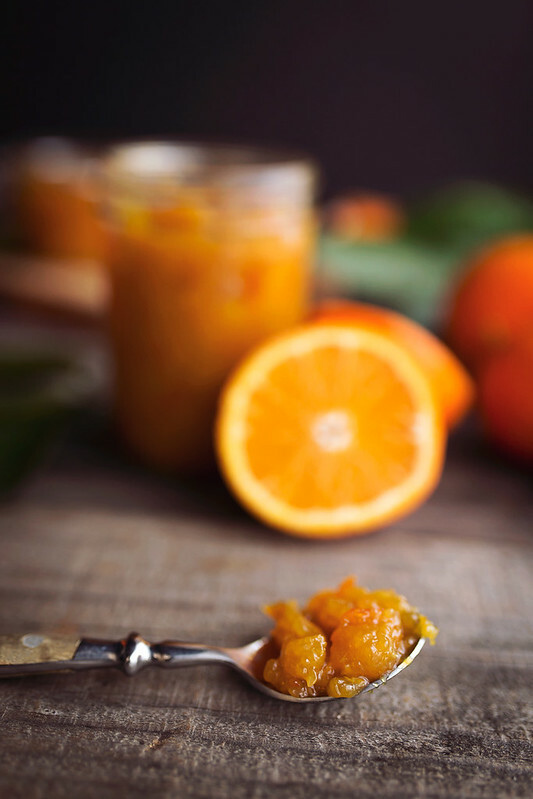 You can also make it a bit less sweet and go for a savory marmalade, adding in chili flakes for a little heat. I imagine ginger would be awesome with it! Have you seriously been here almost 3 years!?!?! That’s crazy! Your green thumb is also crazy! Do you think this will work wit “ornamental oranges”.